Now Located at 821 W. Hillgrove Ave!! We love music and we would love to talk to you about it. Stonegrove was opened in 2002 to provide musical support to the local community. It was quickly discovered how much of a demand for education there was, and lessons have been a huge part of the operation ever since. 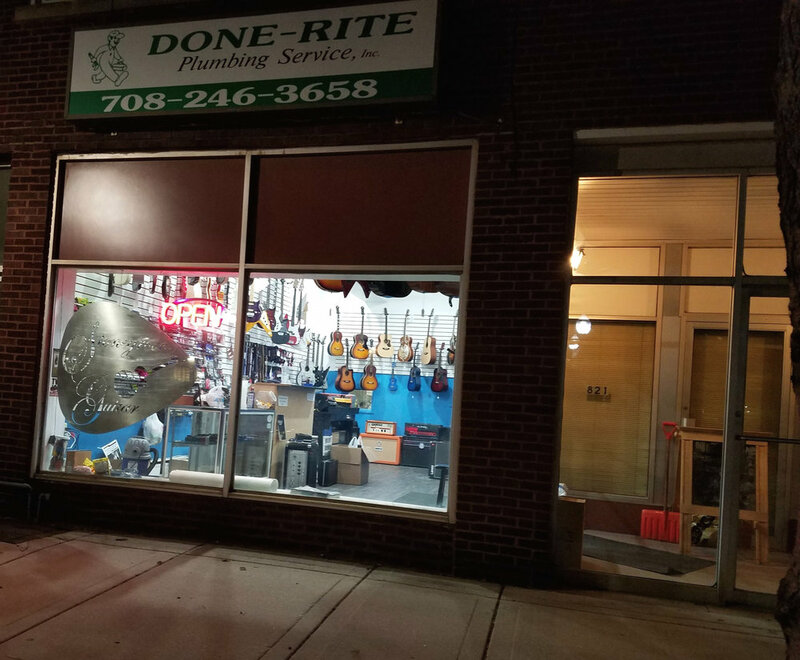 While we sell both new and used instruments, we also focus heavily on repairs and customization. No matter where you're at with music, we want to help you accomplish your goals. From complete beginner to advanced students, we understand that it isn't easy navigating your next move alone. When it comes to sounding your best, we can help you get where you're going. Whether it's learning to sing, getting your guitar dialed in for higher performance, to getting the tone you have in your head at your fingertips. Our amp tech has many ways to help you out with your sound, from retubing to hot-rodding. If you've been toying with the idea of enriching your life with more music, don't hesitate to give us a call. The journey is a lot easier with somebody to light the way. Our staff is very knowledgeable and willing to discuss all the options at your disposal.